Kettle Season Begins This Weekend! Please consider helping your local Salvation Army with your time and resources. The need is as great as ever for help. 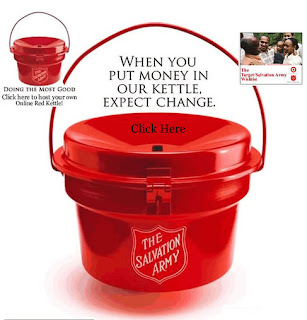 The Salvation Army is a wonderful, highly efficient organization that gives most of what it receives directly to those they help.